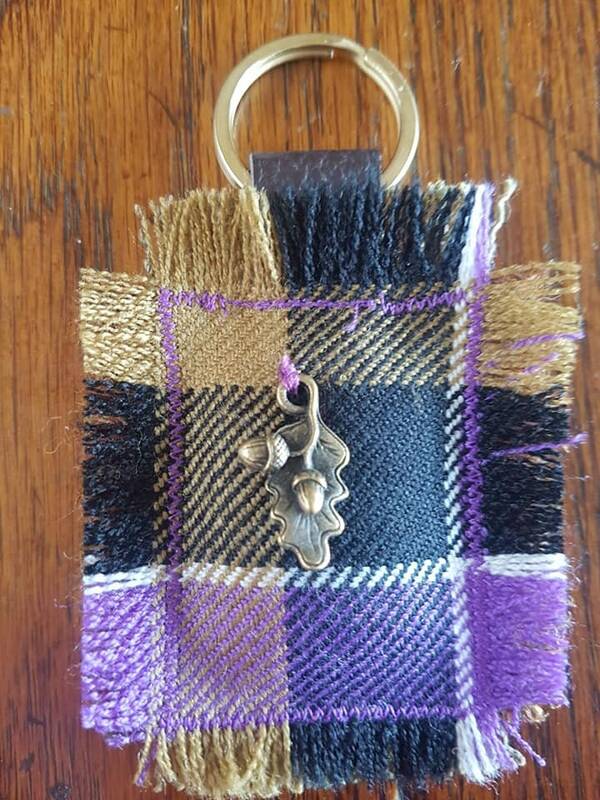 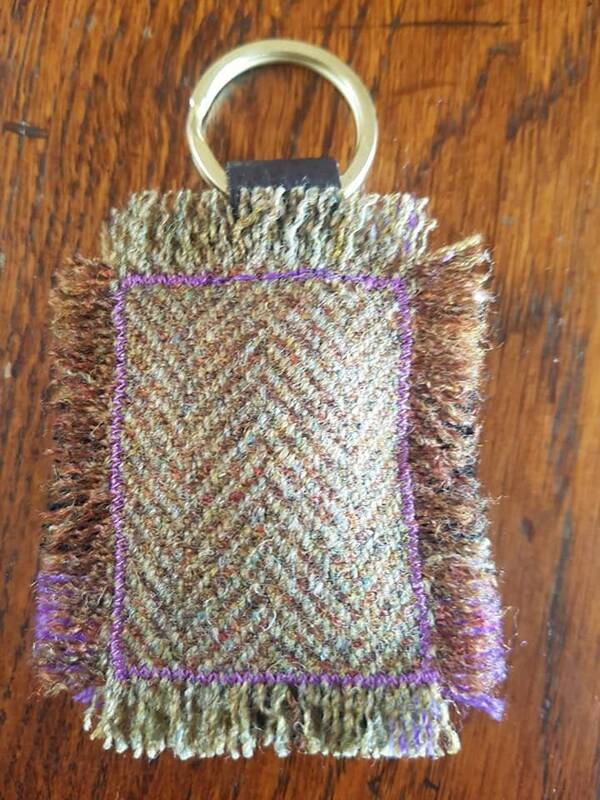 Useful little keyring, lovingly handmade using Scottish woven Culloden wool tartan and backed with brown herringbone wool tweed. 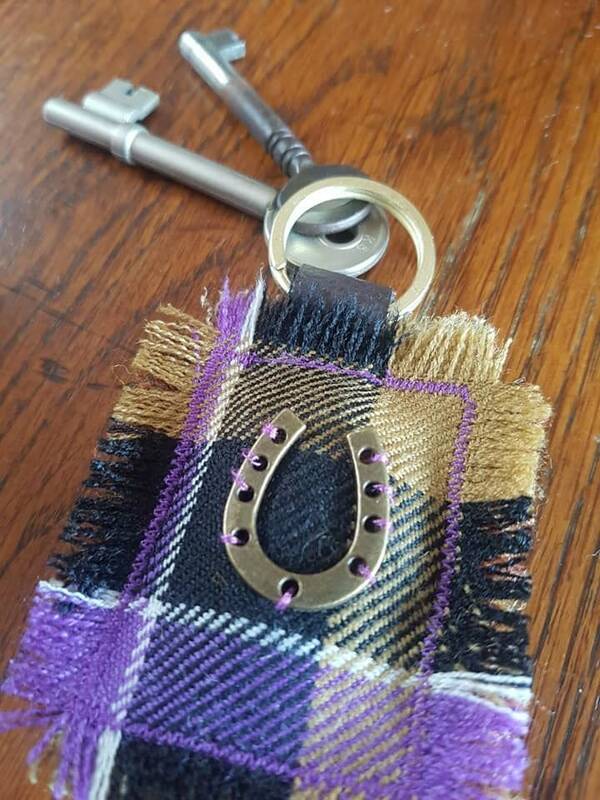 The gold coloured metal split ring is securely fastened to the lightly padded tartan keyfob with a strong brown leather loop. 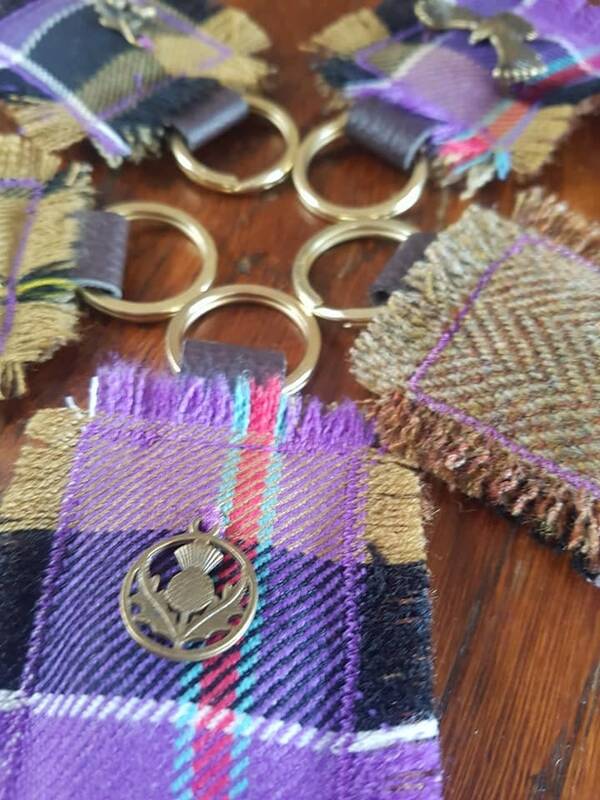 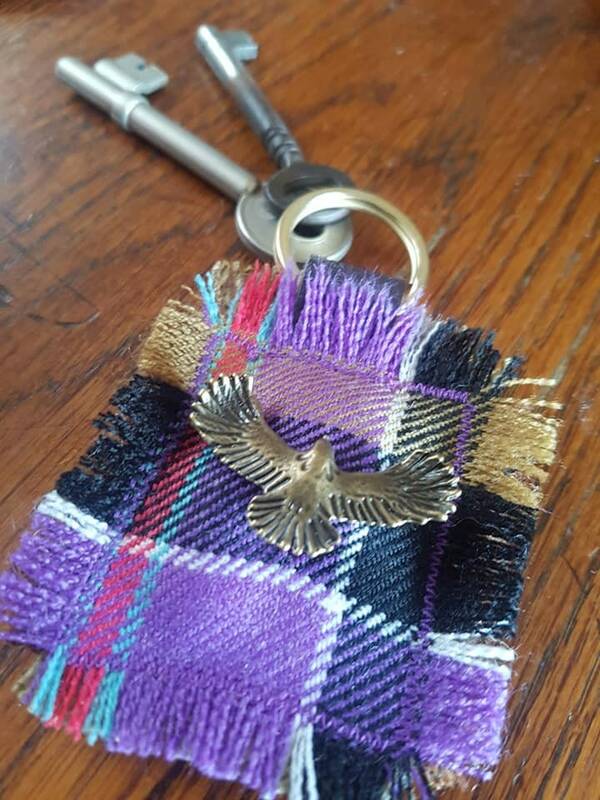 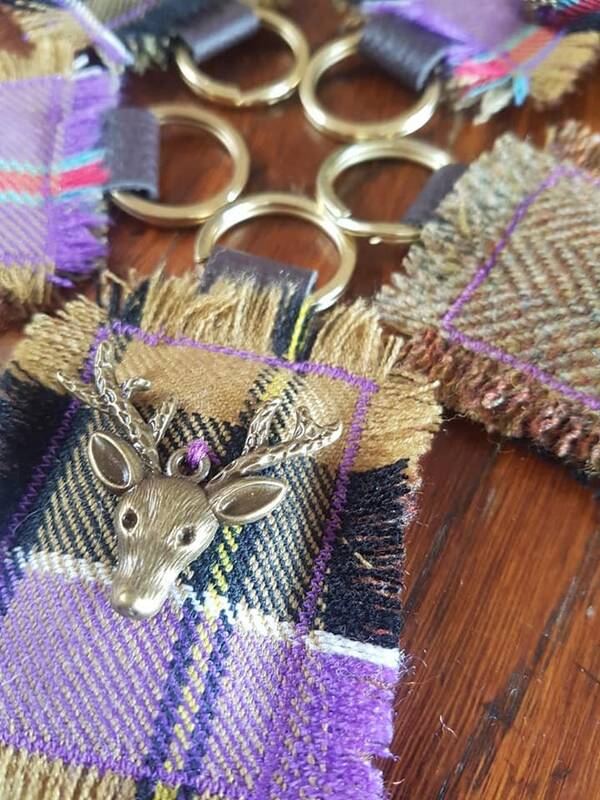 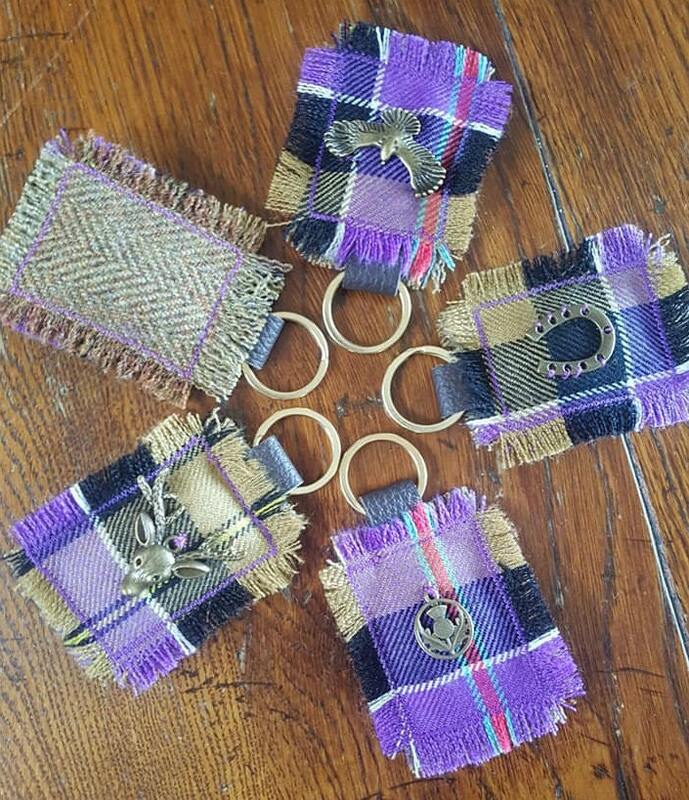 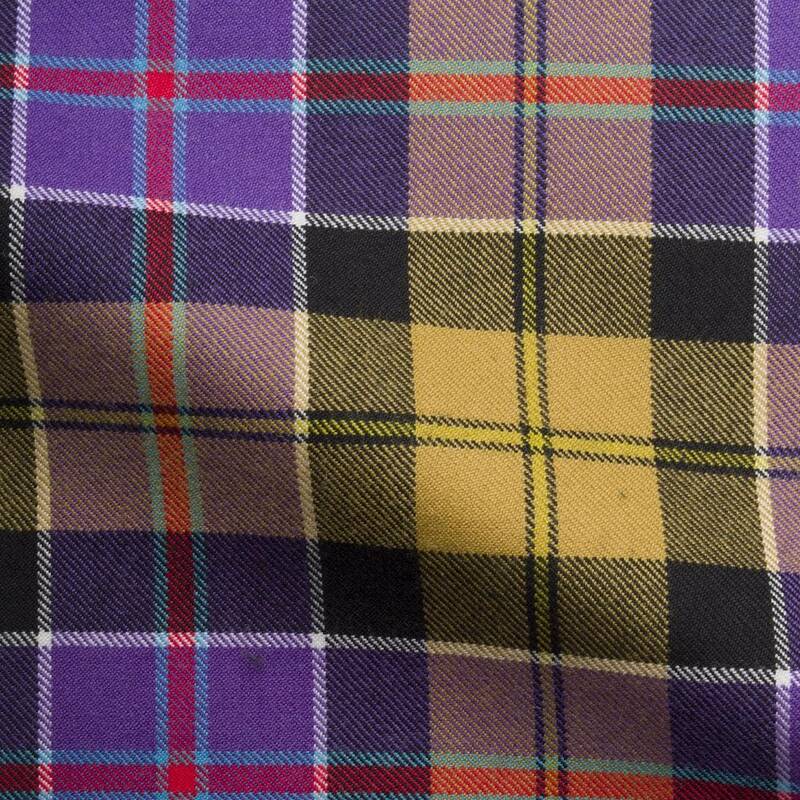 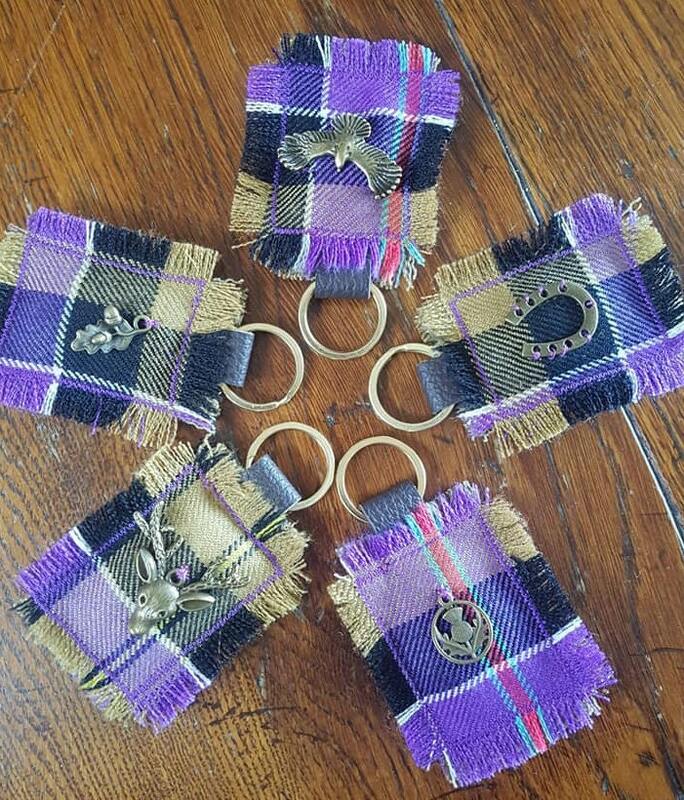 Each individual keyfob is adorned with a small antiqued bronze metal charm, which is securely handstitched in place on the tartan face of the keyfob.